Established in 2001, the annual Mawazine Festival has become one of the most highly anticipated music festivals in North Africa, hosting approximately 2.5 million concert-goers each year. Organized by Maroc Cultures, the nine-day festival aims to unite musical talent from all points of the globe. Tickets for the festival are currently on sale, and can be purchased online. 22 year old Martin Garrix joins the Mawazine line up! Martin Garrix and Khalid team up on new single “Ocean”. Martin officially confirmed “Ocean” will release on Friday, June 15th! Super star French Montana to perform at Mawazine on Saturday June 23rd, on the OLM-Souissi stage. Earlier this year French Montana dropped “Famous” shot in Morocco from his RIAA gold-certified critically acclaimed sophomore album, “JUNGLE RULES”. The superstar was keen to show the world his roots and to bring out a message of positivity. 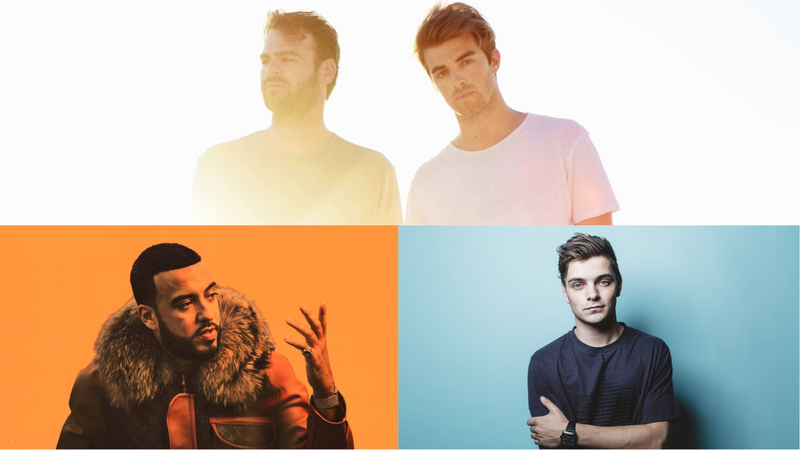 The Chainsmokers are headlining at Mawazine on June 26th. The American EDM pop duo’s debut album Memories… Do Not Open is officially the third longest-running album on Billboard’sTop Dance/Electronic Albums chart.